Recevied a D-Zug cross strut brace...it's beefy..very well made. Justin was excellent to deal with. Future business is definetely going to happen. This is the brace out of packaging. Last edited by speednme1; 06-12-2012 at 10:27 AM.. Remove the strut to bolts(coilovers in my case)..and clean out the undercoating as best as possible and carefully(to make a nice flat surface). I did it with a hammer and chisel. Installation is fairly easy..just take your time. 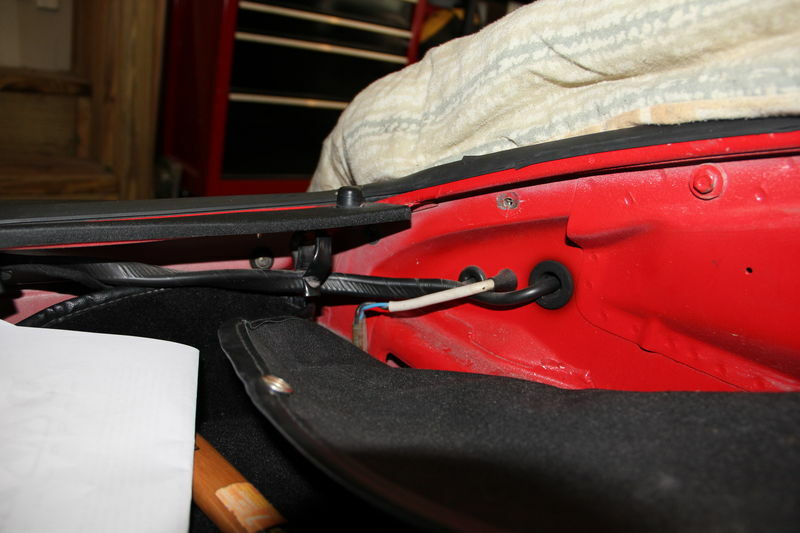 Tighten inside bolt(closest bolt to the strut ) on the strut bracket first(onboth sides). Then proceed to tighten the rest of the bolts on the strut tower and corner brackets . The lastly tighten strut towers. this is what it should look like. Last edited by speednme1; 06-12-2012 at 04:27 PM..
That looks killer. let us know your impressions of it out in the real world. That answer I will leave up to the D-Zug guys...hopefully they will chime in. 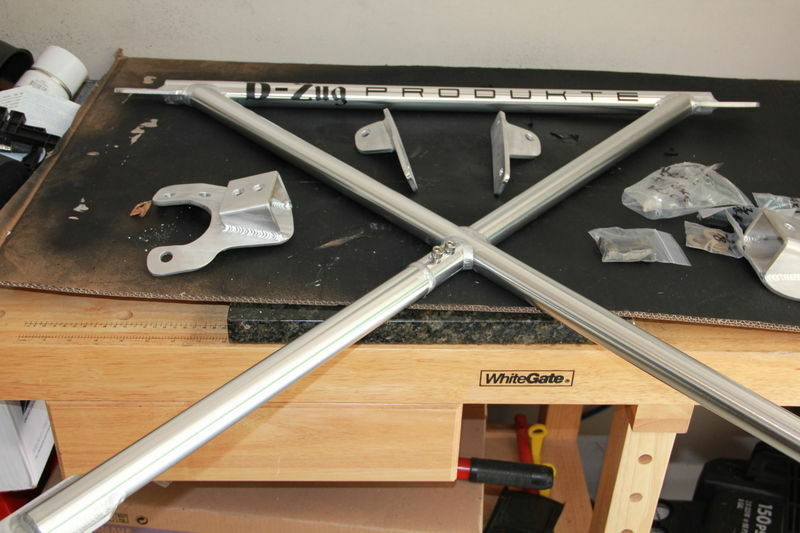 The brace ties the 2 shock towers together so they cant flex in or out with the help of the cross brace maintaining a set camber on your front tires. 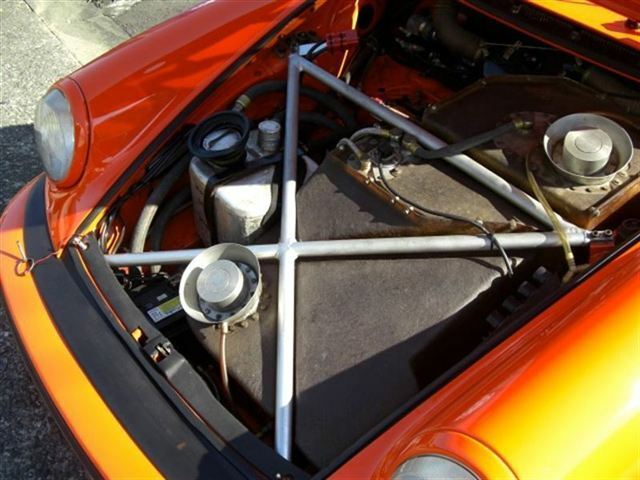 The X used in the 935's tied the front corners of the tub together with the cross brace to prevent any movement unlike other braces that tied one side of the cross brace to the sheet metal under the brace preventing any side to side movement but no fore and aft movement. It is most definitely on my to do list I have the weltmeister cross brace right now that did change the handling some this brace will be a big improvement. The X brace on the factory 934's and 935's was there to effectively stiffen and reduce the the understeer characteristics of the 911 platform. The 934 benifited from a much pointier nose and better front traction and stability under braking or hard cornering thus allowing higher speeds & an advantage on the track. The 935 was a different story. 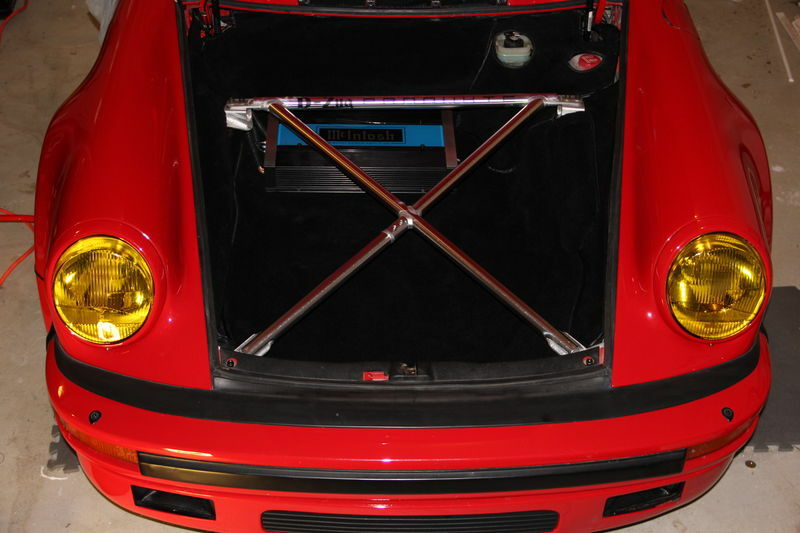 As with the factory cars we cut the front end of my 935 off and welded in a strong steel bar between the two hood pins. 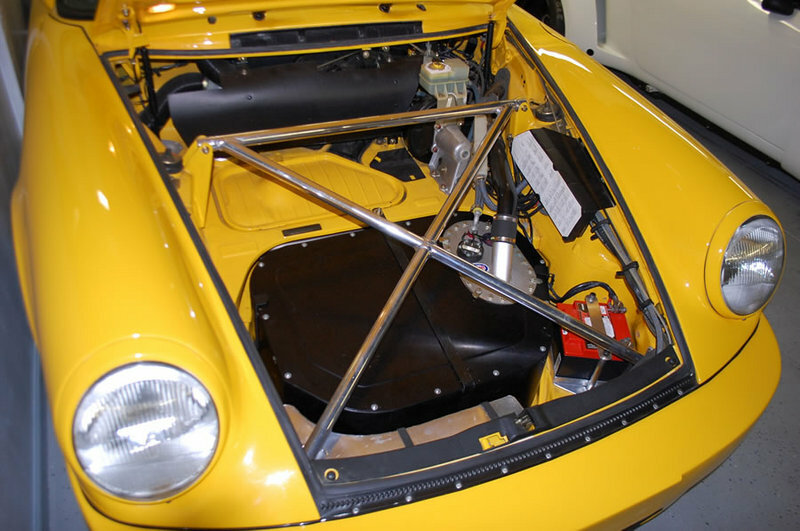 This no doubt weakened the tub structure and required a brace to unite the front end again besides the single bar which supported the front mounted oil cooler. The 935's were the lightest and the most cut up of all the chassis and at the time they had a significant issue with chassis flex due to a lack of cross stability when the rear of the car was hacked to pieces to fit the rear seat intercooler and cage. Those cages didn't "X" as most modern cages do now in the rear seat area. The 935 was known as a "flexi-flyer" because of this, and the huge rubber the car was shod with - not to mention the power and effect that has on even a standard chassis. Overall the "X" brace on the 934 & 935 was there to prevent the front half of the car from picking up an inside tire when one corner tried to raise up, the "X" brace would push it down or just resist the rise and put more rubber in contact with the track meaning higher cornering speeds and stability. 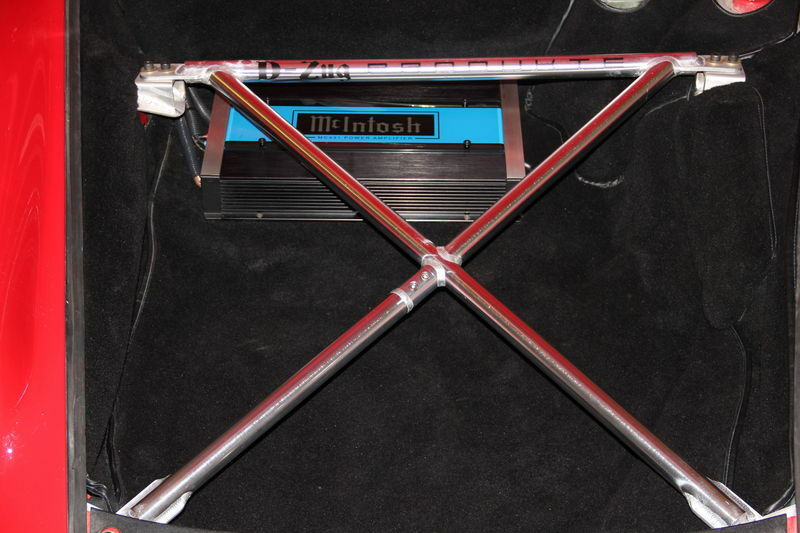 This was in addition to the standard type strut bar going between the towers which would prevent the towers from expanding or contracting on each other. 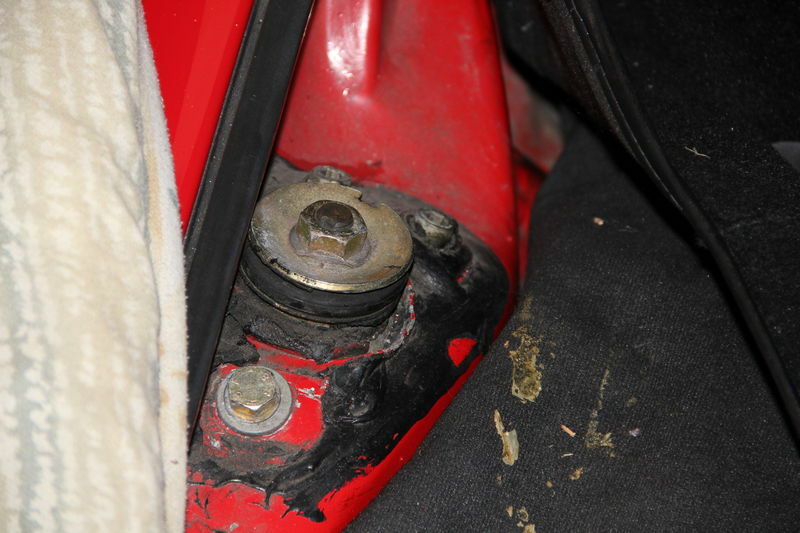 The need for a bar down to the brake booster area or floor pan wasn't needed because of the stoutness of the tubing used and the fact that the additional protection from strut tower collapse or expansion simply wasn't an issue when the "X" brace was executed properly. Sure the extra bar isn't going to hurt anything - but in a race car when every pound matters, each part has to pull its weight. There is eveidence on a few factory cars where the "X" brace would actually bend towards the passenger side strut tower...these things weren't for looks but do their job quite well. So after 3 months of development and testing we know they work from the speed differences during cornering & overall traction increase not to mention how tight they make the front of the car feel while piloting the K3. Justin behind the wheel of his 934 & Pete driving his 930 also noticed a SIGNIFICANT difference making the car (even a stock bodied 930) handle with a sharp nose allowing you to put your tires exactly where you want them to be. Last edited by Reaper930; 06-12-2012 at 05:41 PM..
thanks for the explanation. looks like something I'd be interested in. Also like the 5-point wheels you guys have on here, too. Gabe pretty much summed things up nicely, but suffice to say that starting with the 934, the factory (or rather Norbert Singer, chief motorsports engineer) realized that the weak front end of the 911 would not be able to maintain suspension geometry under the significantly increased loads produced by 400+ hp. The relatively simple 'RSR' style strut-strut cross brace (similar to the one so many of us have installed in our 911/930's) just didn't cut it anymore for the 2.1 turbo RSR at the power levels it was making and the stress it was putting on an already intrisically weak front end. I used dry ice to remove my undercoating and it just peeled back without having to get the muscle out. Have the same brace, just looks great.